Dairy Queen is the latest fast-food chain to hop on the chicken and waffles revival, announcing their take on the delicious pairing for a limited time starting April 1st. 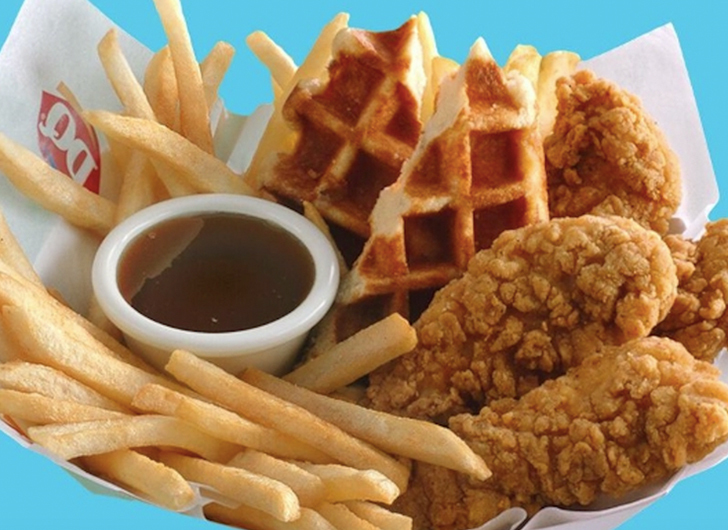 Dairy Queen’s chicken and waffles will feature a basket-sized portion of all white chicken strips paired with Belgian waffles, fries and, of course, syrup! Chicken and waffles are really having a moment with KFC announcing earlier this week they are bringing back their super popular chicken and waffle sandwich after much pleading from loyal customers.